Flight Over Autumn Landscape And Small River With Tree. Majestic Landscape. 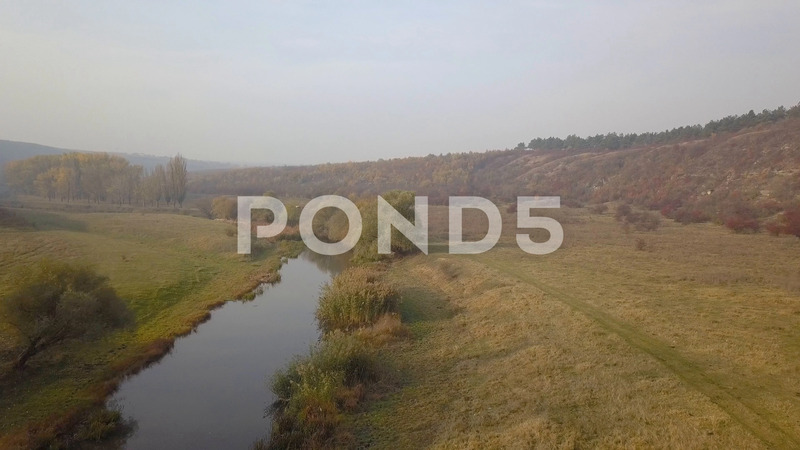 Description: Aerial Drone Footage View: Flight over autumn landscape and small river with tree. Majestic landscape.